Monitoring application performance in IT environments was fairly straightforward in the past due to tightly controlled access policies and static IT environments. However, much has changed—modern IT environments support applications in both highly dynamic private data centers and public clouds, and tight access controls have given over to a free­-for­-all of employee­-owned mobile computing devices leveraging corporate resources. 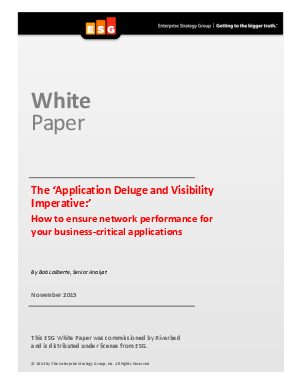 From virtually any location, employees, partners, and customers now access critical business applications that could be hosted almost anywhere, creating more pressure to ensure application availability and performance. In order to be successful today, operations teams require complete application­-level visibility across the entire environment.